This illustrated book aims to give a clear and accessible overview of strategic foresight. In short paragraphs it provides a precise overview of the main concepts to make the reader familiar with foresight thinking. It contains a series of excercises, a systematic method to work with foresight and get results in a short timeframe. Lastly, the book addresses how to use foresight in the organization. 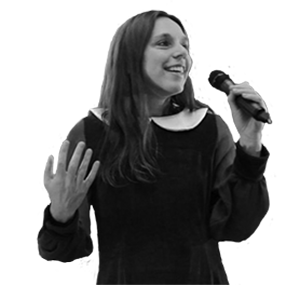 Download here the free illustrated e-book that I wrote with Peter Bishop (Houston University, Teach the Future). 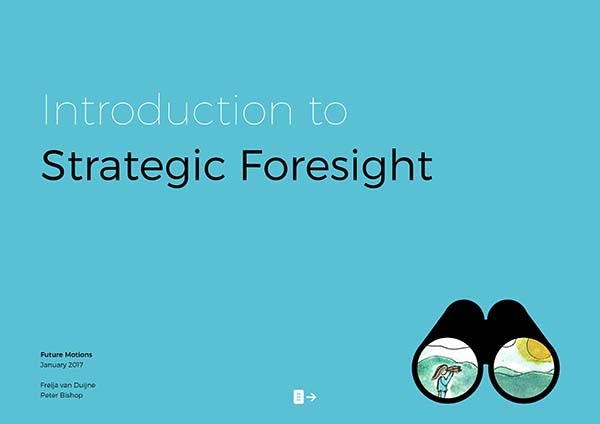 It combines our understanding of strategic foresight, and how to use it in practice. Short paragraphs, easy to follow language, hand made illustrations, a useful set of exercises and a reading list. In half a day, I can teach you the principles of strategic foresight. And work on your strategic question, using the systematic exercise framework expained in the book. Together we work towards tangeable results. As a team, you can get 40 hours of work done in just 4 hours. I love this little book and can use it with clients as an intro. Thank you for writing it, keeping it short, and making it so visual. Wonderful and lovely. This is a great tool help undergraduate, secondary school students and the public in to understand foresight! Drawing pictures is a great idea. Absolutely beautiful, Freija and Peter! Congratulations and thanks. that is an excellent summary, apt to divulge and open up what can otherwise sound so cryptic. Graphics are also of great aid.